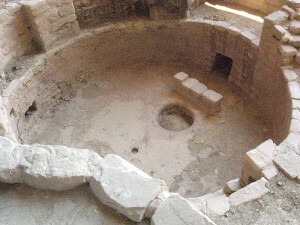 Featured Image: Image of sipapu (small round hole) in floor of ruin of kiva at Long House ruins in Mesa Verde. CREDIT: Wvbailey at the English language Wikipedia SOURCE: Wikipedia Commons ( GNU Free Documentation License). Join Christopher O’Brien, David Hatcher Childress, Clifford Mahooty, Gary David, JC Johnson and Ronald Regehr as we explore this volatile situation where past meets present in a struggle for precious Native American sites verses modern exploitation—- and much more.